Founded in London in 2018, studiopluz is a multidisciplinary studio always searching for growth and embracing challenges. The brainchild of artist Simone Zecubi, who has previously worked at Arnaldo Pomodoro Studio (Milan) and Karl Lagerfeld Studio, studiopluz seeks to mix art with design. studiopluz is on a mission to create works that tell a story, collaborating with brands to produce transformative experiences for their audiences. Studying at University Accademia di Belle Arti di Brera in Milan, a wide range of professional experiences have resulted in this fusion of two paths for Zecubi, prompting him to form studiopluz. Artistic works produced in collaboration with J&PEG have been included in private collections and exhibited in foundations, museums and galleries including Castello Sforzesco, Villa Reale Milan, Boghossian Foundation Bruxelles, Gallerie Poggiali and Forconi, Gagliardi & Domke. 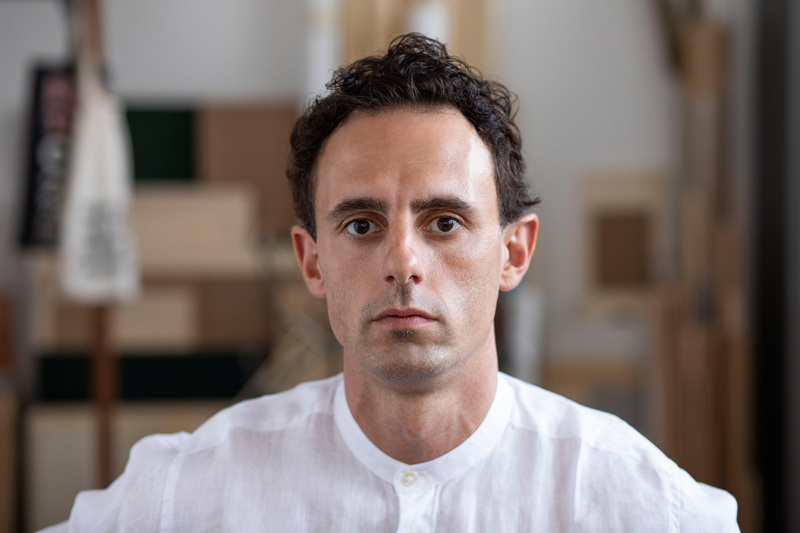 As Creative Director of WonderGlass, Zecubi transformed the brands public persona through his art direction of exhibitions for Milan Design Week and Maison & Objet and design of installations in Venice and London to showcase the skills of their WonderLab artisans. Consultancy work has covered graphic design, visual design & fashion design with special focus on accessory lines for leading high end brands including Chanel and Giorgio Armani.